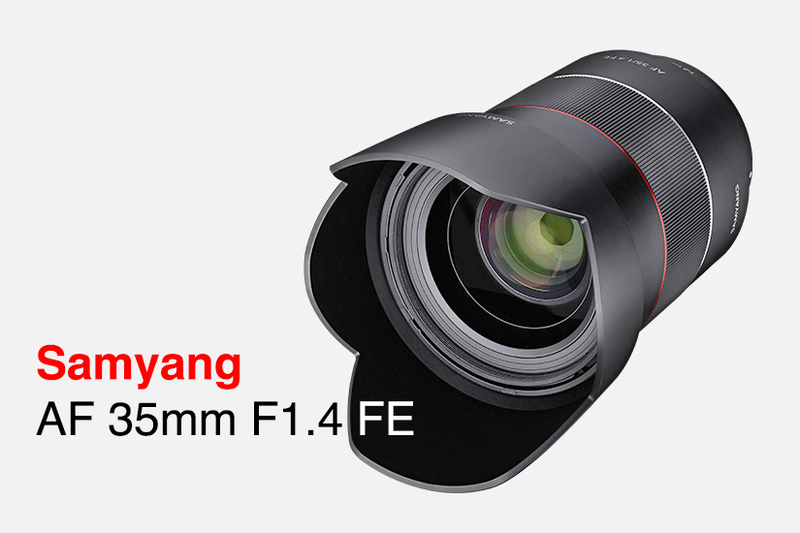 Samyang Optics is pleased to announce the release of their fourth autofocus lens: AF 35mm F1.4 FE. 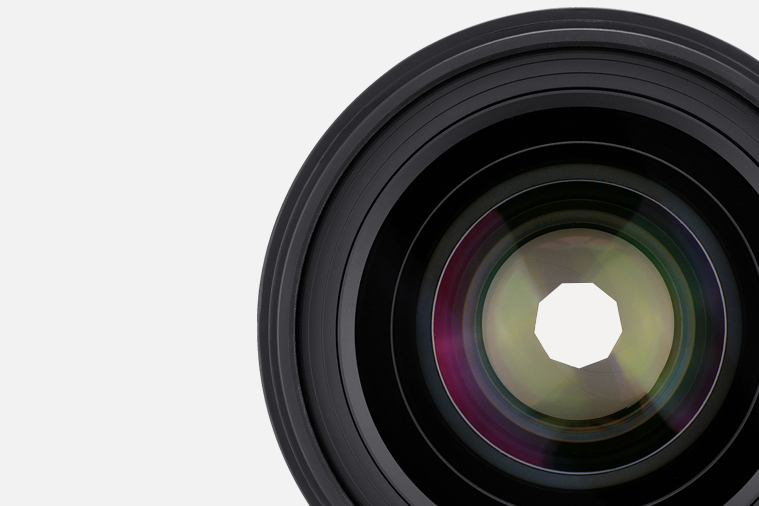 The bright F1.4 aperture and absolute resolution turn every moment into artwork. 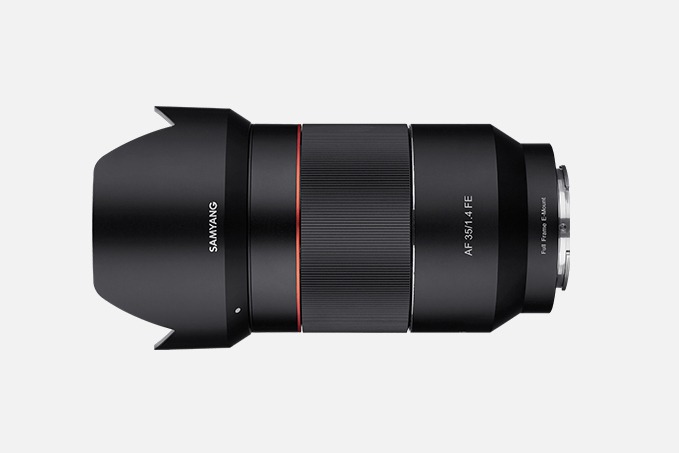 This lens now expands Samyang’s autofocus lens line-up to four which includes three existing autofocus lenses, AF 14mm F2.8 FE, AF 35mm F2.8 FE and AF 50mm F1.4 FE. This new AF 35mm F1.4 FE works in harmony with full frame mirrorless cameras in Sony E mount such as Sony α7 or α9 series. It is designed to appeal to enthusiasts and professionals who are ready to take the next step up in photography. It is the excellent companion to create artworks from everyday moments, while the tiny AF 35mm F2.8 FE released in June of this year is the perfect partner for everyday photographers. 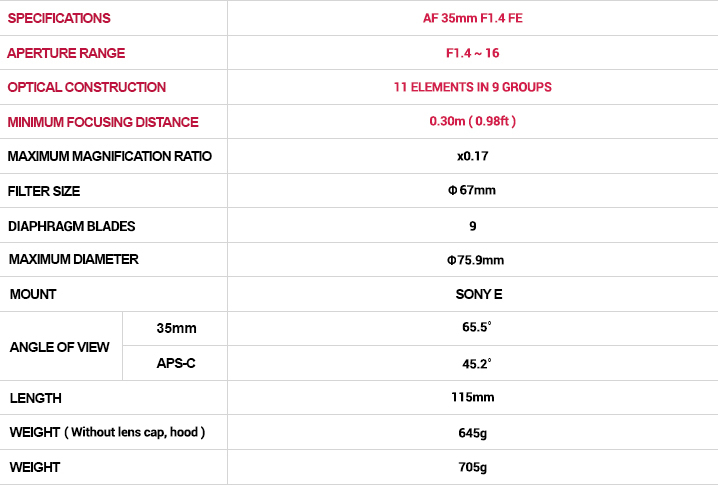 Absolute resolution across the entire image field is the key feature of Samyang AF 35mm F1.4 FE. 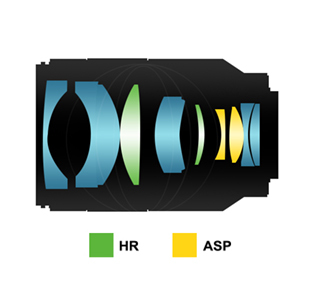 The lens includes 11 elements in 9 groups and features 2 aspherical lenses and 2 high-refractive lenses, plus Ultra Multi Coating. 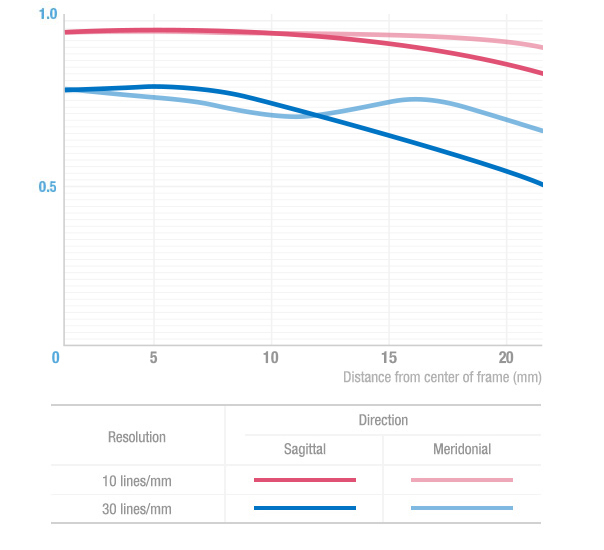 The optical design minimises various aberrations and unnecessary light dispersion to deliver outstanding resolution. Fast, precise and quiet autofocus performance meets Samyang’s exceptional optical technology to capture any moments clearly. The bright F1.4 secures fast shutter speed and creates shallow depth of focus images in wide-standard angle of view. The new 35mm F1.4 lens is ideal for professional photography including low-light events, landscapes and portraits with expressive characteristics. 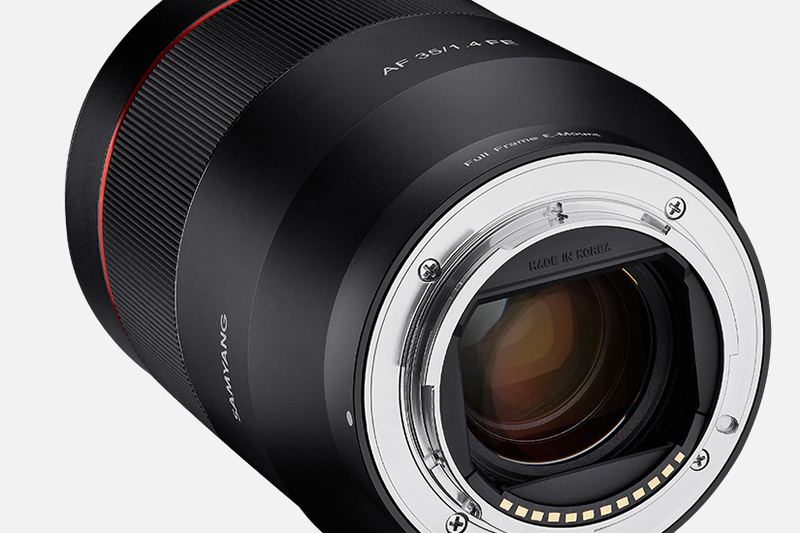 Samyang AF 35mm F1.4 FE, a lens for photographers aiming high in photography, will be available globally from November and will carry a suggested retail price of EUR 649.